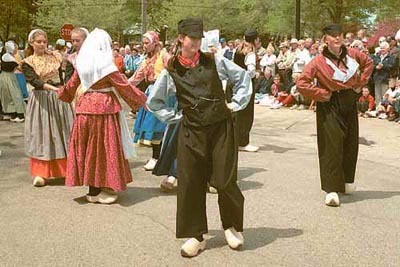 Summer time at our Lake Michigan Beach Towns is festival time! Every year June, July and August has at least a one or two going on in one of our favorite Lake Michigan Beach Towns. They are like icing on the cake. I mean you are already on vacation at Lake Michigan and are enjoying everything that goes with that and you walk downtown and “boom” a festival breaks out. Like they knew you were coming and planned it all for you and your family. At least that is our reaction when we stumble upon a festival happening that we didn’t realize was that weekend. But then there are others (probably the smart ones) that plan their vacation around these festivals, realizing that they make a great vacation, “greater”. For those of you who like to plan, or for those of you who just want to check if you are lucky enough to be in town when a great “summer fest” is going on. We have sorted them by date and by city (South Haven, Saugatuck, Holland and Grand Haven). I can tell you there are some great festivals, Waterfront Film Festival, Harborfest, The Blueberry Festival, Coast Guard Festival, and of course the one that is already passed us Tulip Festival, just to name a few. Check them out and look for us amongst the crowds. We will be the family that looks surprised that everyone is throwing a big festival just because we happened to be in town.